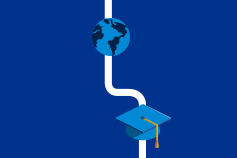 Careers for graduates: learn about Law Tax Controversy and Dispute Resolution skillsets. KPMG Law’s Tax Controversy and Dispute Resolution practice sits within KPMG’s affiliate law firm. providing tax legal advice in relation to tax technical matters. You will build fundamental legal skills to expand your legal career in a growing and increasingly important tax legal services market. 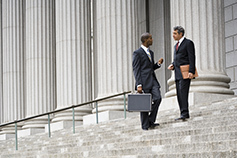 You will have the opportunity to be mentored by renowned senior lawyers from our national team. You will gain experience in a wide variety of legal skills, ranging from technical research and analysis to conducting document reviews, interviewing witnesses and drafting court documents. These experiences will provide the solid base necessary for a successful and long lasting legal career. The best part of the role is the opportunity to engage regularly within the wider KPMG firm, both domestically and worldwide, and be part of a broader multi-disciplinary team environment. This relationship makes us unique when compared to traditional law firms. We get involved across the entire spectrum of a tax matter through early engagement with our KPMG colleagues. For a tax dispute, our involvement may be from pre-transaction all the way through to litigation in the Administrative Appeals Tribunal or the Federal Court of Australia. You will work with a dynamic team of highly talented and successful people nationally and internationally. You will gain experience across a broad range of challenging tax legal issues, and across interesting transactions and projects. KPMG Law and KPMG have rolled out a firm-wide digital workplace program with most offices supporting agile work spaces enabling collaborative, mobile and flexible style of working. The team is actively interested and invested in your growth, development and success. The team has an extremely supportive, collaborative and fun culture, making work an enjoyable and engaging experience.